Anyone keep a mixed herd of geldings & mares? 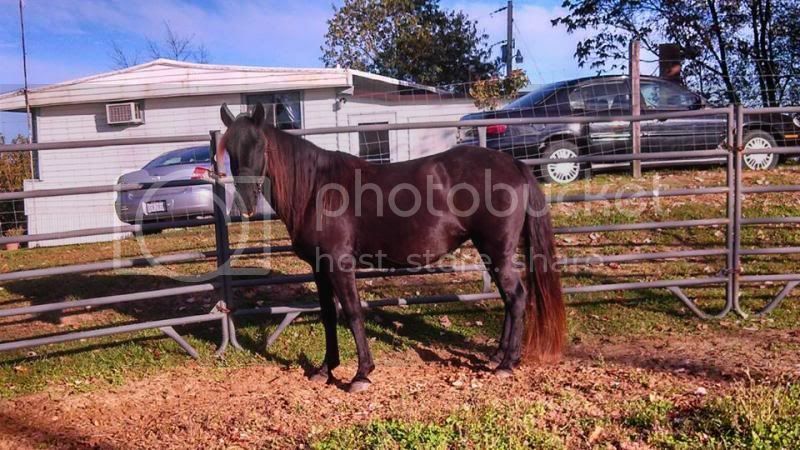 We have 2 geldings currently, but I have the opportunity to lease/purchase a very well bred, nicely gaited mare. She's the right age (11 yrs old), has been extensively trail ridden, and her owner, who I've known via the web for years) says she's quite independent, will lead, follow and split off. She's been around dogs forever...she's the same height as my gelding, so perfect for me....short backed, substantial bone, but we're not set up to separate horses for extended periods of time. We certainly can for a couple weeks while they get to know each other over a fence....but I wouldn't want to do it for more than a couple weeks. My horses were pasture boarded for the past year and half. There were 3 geldings and a mare. They were all fine. They sort it out the first few days and someone is in charge. Usually it will be the mare, but my gelding was not willing to give up the top spot. The age when the two you have were gelded may have an impact on their behavior especially when shes in season. I'm no horse expert someone might be able to give you more info, but we didn't have any issues. We have several mares and several geldings in general population together all the time. like Doug said, it wont take them very long to establish a pecking order and it is usually a boss mare. The only issue I have seen and it usually works itself out, is when you have a gelding that was cut late in life and is still a little studdy. We have a halflinger/shetland that will still try to mount a mare on occasion...... they usually don't make any bones about letting him know he is messing up. No different than having any neutered males around intact females. Thanks guys! Our horses had some injuries over the past few months (all healthy now, knock on wood), but it really drove home the point that, if we have the room to keep, trailer space to transport, and the money to feed another, having an extra horse wouldn't be a bad thing. She sounds like a really nice mare, and we'd have some time to decide whether she could be a nice field trial horse or not. I think I'm going to pursue this. I'm excited! We worked out the terms of the lease today so we'll be picking up our new horse this time next month. There goes the dog boxes we built 18 months ago....oh well. My gelding currently lives with another mare and another gelding. Out of the 12 pastures at the farm, only 4 are "gelding/mare only". It really depends on who ranks where in the pecking order. I'd definitely give them a few days to meet and greet over the fence before turning them out all together, and I'd make an effort to still separate for all meals (personally, this should be done in all cases). You may also find that if she's the boss mare type, you'll have to provide more than one access to hay/water. Took the plunge! Worked a deal out with her owner that we'd pick her up next weekend, bring her to a couple field trials, work with her at home a bit, and if we like her, we'll buy her in December. If we don't think she'll work out, we'll feed her for the winter and bring her back in March. In the videos we've seen of her, she moves REALLY well. She's been overnight camping, ties well, high lines overnight, stands for mounting, is used to dogs, ATV's, llamas, steer, pigs, etc., goes out calmly in a group or alone, and has been shot around. Keep your fingers crossed that field trials don't send her off the deep end. Looks like you got yourself a great deal! I've had horses in a mixed herd before with little or few issues. However, the group I have now I can't put mares/geldings together. I have major issues with the mares being in season a lot and the geldings becoming "too friendly" and too attached to the mares (to the point separating them sends them all screaming and calling for each other). I separated everyone--mares with mares and geldings with geldings and things have been so much better. I think it really just depends on the herd make up. For example, one of my mares is in season constantly and just seems to be a problem in general esp when put with the geldings (or even near them sometimes). But try it and see, that's all you can really do.